Arthur Co-Anamoose just put up a new 285,000 bushel bin just west of their 7 smaller bins. All that is left to do is put up conveyor belts on the top and bottom. 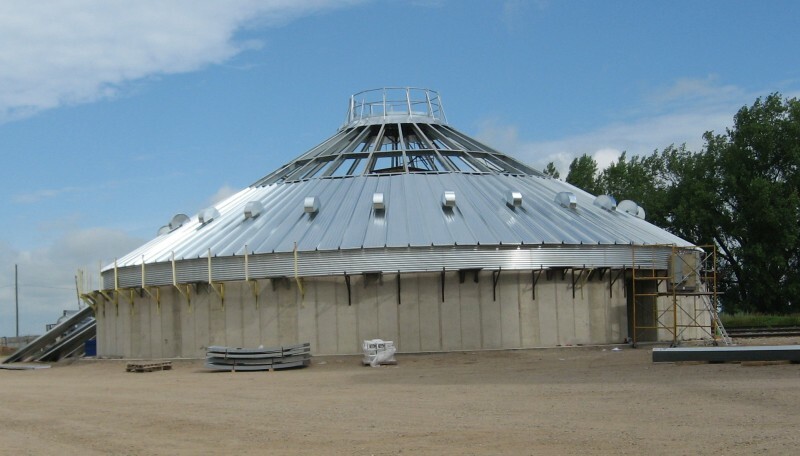 The crew from Wasta, a South Dakota company, put up the bins in about 3 weeks. 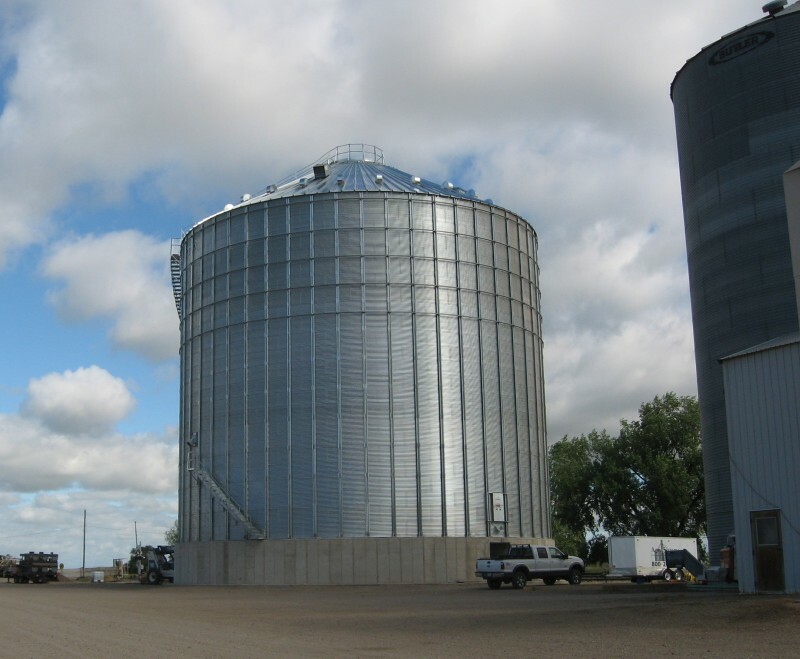 The bin is 78 feet in diameter and 24 rings high or approximately 80-90 feet tall. Jeff Lemer, the station manager, stated “This bin will greatly increase the space for harvest” which is good news for our farming community.